This monthly post tracks developments around the “China Dream” since August 16, 2013. It continues to be the case that if we follow the thread of the “China Dream” discourse we learn much about Chinese domestic politics and foreign policy. Wu Jianmin, former ambassador to France and a moderate diplomat, criticized Colonel Liu Mingyuan’s “China Dream” book as not reflecting Deng Xiaoping’s diplomatic thinking or the intention of the party center. Wu viewed Xi’s “China Dream”2 as similar to the “American Dream,” but different from Liu’s “China Dream.” At the same time, Wu acknowledged that Liu’s book had “excited” some veteran leaders. Did some of them talk up the book to Xi? Earlier in June, Liu himself told the BBC that Xi shared his dream to make China the dominant power,4 but he did not mention whether Xi had borrowed his idea. It is the job of Yang and other Chinese diplomats to reassure the world. Some may genuinely wish for a Chinese dream similar to the “American dream.” But as summarized in the rejoinder, Zheng Wang and Elizabeth Barrett rightly view the “China Dream” as different from the “American” dream with the latter focusing on universal values, social mobility, and openness to the outside world. However the Chinese government wants to spin the “China Dream,” it seems obvious to the outside world that with increasing attacks on constitutionalism and emphasis on divergence between the Chinese system and the Western democratic system, the essence of the “China Dream” is hardly reassuring. The outside world is paying great attention to what the Chinese military says and does, which has far more relevance for determining whether Beijing is following a peaceful development path than what the Chinese diplomats have to say. Defense Minister Chang Wanquan paid a high-profile 4-day visit to the United States in late August, continuing a recent trend of intensifying military diplomacy. While the Bo trial was sensitive for the CCP party leadership, they wanted people to think that they were not distracted. Li Keqiang won cabinet approval for the Shanghai Free Trade Zone during the trial. China needs economic reforms, but there has not been as much chatter on economic reform measures as on party rectification and mass line. We may not have an economic reform storm at the party plenum in November, as announced on August 27, the day after the five-day hearings of the Bo trial ended. Xi is apparently serious about anti-corruption. He is going after so-called corrupt “tigers.” On September 1, Jiang Jiemin came under investigation, which virtually guarantees his guilty verdict. As the chief of the State-owned Assets Supervision and Administration Commission of the State Council, Jiang is the first cabinet-minister level cadre and the first member of the CCP Central Committee to fall under Xi. Several other senior leaders in the powerful state oil sector had been detained in late August. Jiang spent almost his whole career in that sector. It is widely reported in Hong Kong media and foreign media that all this points to the eventual fall of Zhou Yongkang, a recently retired member of the Politburo Standing Committee and the former chief of the security apparatus. Zhou arose from the state-owned Shengli Oil Field and promoted most recently disgraced officials. He has been rumored to be a supporter for Bo Xilai. A few news stories related to the security apparatus around mid-August also caught attention, suggesting Xi’s success in consolidating his power in this apparatus, necessary if Xi moves against Zhou. If Zhou is officially investigated, Xi would be changing the rules of the game under Jiang Zemin and Hu Jintao, namely avoiding going after serving or retired standing committee members. This would be potentially destabilizing for Chinese politics because all factions would now be fearful of their fate after retirement and would therefore fight much harder. Terminology aside, the ideological fight in China is intensifying. In early September the party official media outlets launched an even stronger attack on constitutionalism and a whole range of thinking that allegedly weakens party leadership and subjects the country to Western subversion. The attack was interpreted as reflecting Xi’s thinking, as revealed in his August 19 speech, for which there is no official version, but which apparently also said much about the need for reform. Xi’s commitment to CCP dominance naturally makes him lean politically to the conservative side. There has been a recent wave of arrests of activists and critics to stifle any challenge to party rule.8 Xi once dismissed all “this empty talk” as detrimental to the nation, but it is doubtful that dissent will diminish, given the magnitude of the challenges this evolving nation is facing. 1.China News Agency, August 16, 2013, http://www.chinanews.com/gn/2013/08-16/5168975.shtml (accessed August 16, 2013). 2.Yang Jiechi, “Implementing the Chinese Dream,” National Interest, September 10, 2013, http://nationalinterest.org/print/commentary/implementing-the-chinese-dream-9026 (accessed September 11, 2013). 3.Guangming Daily website, August 19, 2013, “Implementing the Chinese Dream,” National Interest, September 10, 2013, http://news.gmw.cn/2013-08/19/content_8643551.htm (accessed September 2, 2013). 4.“What Does Xi Jinping’s China Dream Mean,” BBC News, June 5, 2013, http://www.bbc.co.uk/news/world-asia-china-22726375 (accessed September 10, 2013). 5. China News Agency, September 6, 2013, http://www.chinanews.com/gn/2013/09-06/5256990.shtml (accessed September 7, 2013). 6. Xinhua News Agency, September 1, 2013, http://www.chinanews.com/gn/2013/09-01/5230457.shtml (accessed September 1, 2013). 7. Xinhua News Agency, August 20, 2013, http://www.chinanews.com/gn/2013/08-20/5185618.shtml (accessed August 20, 2013). 8. Human Rights Watch, “China: Nationwide Arrests of Activists, Critics Multiply: Drive to Strengthen One-Party Rule Unhindered by Upcoming UN Rights Council Election,” August 30, 2013, http://www.hrw.org/print/news/2013/08/30/china-nationwide-arrests-activists-critics-multiply (accessed August 30, 2013). 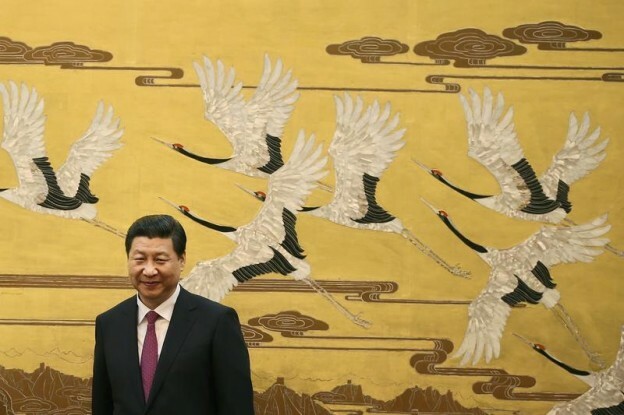 On September 21, Manoranjan Mohanty published an article titled “Xi Jinping and the 'Chinese Dream. '” This response to Ming Wan draws on the discussion of his article. Mohanty's argument complements and expands on Ming Wan's analysis of the ambiguous nature of the concept of “China Dream” and its practical implementation. While Ming Wan draws attention to certain contradictions concerning the “China Dream” and to the open-endedness of this concept, Mohanty argues more forcefully that the “China Dream” thus far appears to merely represent a framework for political mobilization, rather than an actual shift in policymaking. He examines Xi's approach with respect to four key objectives: fighting corruption, promoting democracy, reforming the economy, and establishing China's global position. Mohanty contends that Xi has not made any significant breaks from the previous administration on any of these issues, and it remains challenging to discern the specific policy choices that Xi is promoting. With respect to fighting corruption, while Xi elevated it to the forefront of the policy agenda by persecuting many officials, including some top ones, as well as by launching major campaigns to “clean up” the party, the actual strategy to fight corruption has remained the same. Xi intensified the punishment for corruption, but like previous leaders, continued to treat it as a “governance” rather than as a “structural” issue. We are yet to see a comprehensive anti-corruption reform that would address the deep-seated structural issues, such as the nature of economic growth that gives rise to endemic corruption. As for democracy promotion, Xi's stance remains unclear. While he invited open criticism and urged the party to rekindle its ties with the public, the new leadership has not made concrete steps to enable greater public participation in policymaking. Moreover, the authorities have been caught unprepared for what Mohanty terms a “steadily rising democratic consciousness among the masses,” as demonstrated by the rise in protests. Finally, on a global scale, “China Dream” could either translate into China's increasing ambition for great power status, or into its role as a facilitator of a more balanced and democratic geopolitical order. For now, Xi seems to play both cards at the same time. He is projecting China's global power ambitions, while at the same time Xi is making great effort to build alliances with developing countries in the region and beyond. As with other issues, it remains to be seen which path Xi will end up prioritizing. According to Mohanty, therefore, the “China Dream” can be mainly interpreted as a mobilization framework, but not necessarily as a real transformation in domestic or international politics. Xi's responses to major issues outlined above are as ambiguous as the concept he has been promoting. One thought Mohanty does not entertain in his analysis, however, that Ming Wan has touched upon, is the fact that ambiguity of the “China Dream” concept and its subsequent policies might be intentional and possibly beneficial to the long-term comprehensive policy change. Chinese leaders are known for testing the waters before embarking on large-scale reform. The adaptiveness of the party-state has been linked to its flexibility in policy-making. Moreover, when it comes to political change, the cycles of “opening” and “tightening” (fang/shou) have characterised China's political climate for decades. Given the sensitivity of all the issues Mohanty outlines, it would be surprising if Xi would settle for a more explicit and rapid policy change. Rather than necessarily interpreting Xi's fluid policy approach as a weakness, it might be useful to examine it as a normal step in the party's adaptation process.